A journalist recalls her intervention on behalf of Bombay’s pavement dwellers in 1981, which led to a Supreme Court order mandating rehabilitation for those evicted by government demolitions. It has been over three decades since a Constitution Bench of the Supreme Court ruled in favour of the Pavement Dwellers case across the various metro cities in India (Olga Tellis & Ors v Bombay Municipal Council  2 Supp SCR 51, Housing, Rights). The ruling made it mandatory for the authorities to provide alternate accommodation to slum dwellers if their shantytowns were demolished. However, the inhuman demolition and eviction of nearly 1,000 families in the Shakur Basti slum in Delhi confirmed that the authorities are neither following nor taking the Supreme Court directive seriously. The then Maharashtra Chief Minister, the late AR Antulay, wanted the Bombay Municipal Corporation to remove all the pavement dwellers in Mumbai during the monsoon of August 1981. The issue was taken up by a human rights group (People’s Union for Civil Liberties) who went to the Bombay High Court saying that it was heartless to demolish the houses of the poor pavement dwellers in the harsh Mumbai monsoon months, without providing them alternative housing options. My point was that their homes should not be demolished during any season at all, whether monsoon or any other as they were not living in the difficult slum conditions out of pleasure or choice – they had not come to Bombay drawn by the big city lights or Bollywood. They were economic migrants caught up in the iniquitous economic policies of various state governments. The Indian political class has been emphasising only on the development of the cities, paying little or no attention to the villages and small towns who have, virtually, been left to fend for themselves. The absence of employment opportunities besides inadequate education and health facilities have driven thousands of people seeking better economic opportunities to India’s metropolitan cities. Displacement through land acquisition for major projects is another cause of the migration to the city and the surge in the ranks of the urban poor. The Mahatma Gandhi National Rural Employment Guarantee programme, created to provide 100 days of employment to the rural poor, reportedly provides an average of around 35 days of work; the daily wage guaranteed is low, often lower than the Rs 200 as per the plan. This is further testimony of the discrimination and negligence by various governments towards the people of rural India. Consider this. The minimum wages for government servants is proposed to be Rs 18,000 a month when the wages under the MGNREGA in rural India is barely Rs 200 a day. It is because of such unsympathetic conditions that people from rural areas all over the country migrate to the "thriving" cities for a livelihood and the very meager requirement of three square meals and a roof over their heads. In a Maximum City with skyrocketing property prices that even the well-off struggle to meet, the pavement dwellers have to live in pathetic conditions to make ends meet. They look for dwellings that are close to their area of work, they remain the backbone of the city, providing roadside eatables, housemaids and helpers, dhobis or drivers, etc. They do not get any subsidies and ask for none from the government. So for me, demolishing the slums during the monsoon was not the real or core issue here. I appealed to the Supreme Court (against the Bombay High Court judgement), enumerating the reasons why the pavement dwellers should not be removed. This was converted into a petition and after five years (1980-85) and many adjournments the Supreme Court found, principally, that the right to housing was not a fundamental right. So there was limited or little headway that we made, on this basic point. However, the court reiterated that in cases where slums had to be demolished for urgent development works, the authorities were bound to provide alternative accommodation. The ruling was very clear and simple. But the government authorities, including those in Mumbai, have continued to be vicious in their demolition of slums and homes in other spaces, without providing any alternative accommodation in violation of the ruling. Well-known social activist Medha Patkar has been fighting a relentless and lonely battle for the urban poor living on pavements and other spaces, but in vain. The authorities have fallen foul of the SC ruling on many occasions. The demolition of Delhi’s Shakur Basti in the cold on December 12 is the latest in a string of inhumane government actions. Worse was the statement made in Parliament by Railway Minister Suresh Prabhu. On December 14, he is on record saying that “such encroachments are the main source of garbage and open defecation, etc”. This explanation is both facetious and ridiculous. The 1,000 residents whose homes were so callously demolished had lived in Shakur Basti for nearly 15 years and had all the relevant identity cards. What made the official (railway minister's) explanation worse was when Prabhu said that the railways did not have land to rehabilitate the slum dwellers. This seems preposterous because the railways have vast tracts of land all over the country which the government is presently thinking of monetising. Prabhu’s railway officials did not even bother to inform the slum dwellers about the demolition before swooping down on them. There are claims and counter-claims being made by the railways and the Aam Aadmi Party about the demolition. But the fact remains that the Shakur Basti families themselves were not informed about the demolition. The Delhi High Court has already questioned the haste and rationale behind the demolition during the harsh winter months in Delhi, without providing alternative housing for the elderly, women and children. They were practically left out in the open to suffer the bitter cold. The court condemned the act as "inhuman" and ordered the railways to come up with a plan to rehabilitate the dwellers of Shakur Basti. These migrants were from economically poor rural areas of Bihar which have seen little or no employment opportunities since many of the state’s chief ministers were busy with other matters, often feathering their own nests and doing little or nothing for development of Bihar’s rural population. All those who come to Delhi and Mumbai – subjecting themselves to life in inhumane conditions – are economic migrants and victims of both corruption and non-development back home. They hope to seek justice in the courts of law against the inhumane treatment of arbitrary evictions. They await alternate accommodation and sensible rehabilitation, which is a logical requirement arising out of their predicament. Only when our courts of justice evolve a comprehensive understanding of the overall ground level situation affecting vast sections of the Indian urban poor, will substantive justice in human terms result. Pavement dwellers and public interest organisations claim eviction of pavement dwellers violate the right to life under the Constitution by depriving them of their livelihood; right to life includes protection of means of livelihood; obligations to provide natural justice before eviction but no automatic right to resettlement under Indian constitutional law. In 1981, the State of Maharashtra and the Bombay Municipal Council decided to evict all pavement and slum dwellers from the city of Bombay. The residents claimed such action would violate the right to life, since a home in the city allowed them to attain a livelihood and demanded that adequate resettlement be provided if the evictions proceeded. The Court declined to provide the remedies requested by the applicants but found that the right to a hearing had been violated at the time of the planned eviction. The Court held that the right to life, in Article 21 of the Constitution, encompassed means of livelihood since, “if there is an obligation upon the State to secure to citizens an adequate means of livelihood and the right to work, it would be sheer pedantry to exclude the right to livelihood from the content of the right to life”. However, the right to a livelihood was not absolute and deprivation of the right to livelihood could occur if there was a just and fair procedure undertaken according to law. The government's action must be reasonable and any person affected must be afforded an opportunity of being heard as to why that action should not be taken. In the present case, the Court found that the residents had been rendered the opportunity of being heard by virtue of the Supreme Court proceedings. 3. high priority should be given to resettlement. How has this path-breaking decision been enforced? The pavement dwellers were evicted without resettlement. Since 1985, the principles in this case have been affirmed in many subsequent decisions, frequently leading to large-scale evictions without resettlement. For example, in the Narmada dam cases, adequate resettlement was ordered but most affected evictees have not been properly resettled and the majority of the Court declined to examine the extent to which their judgment was enforced: see Narmada Bachao Andolan v. Union of India (2000) 10 SCC 664. Olga Tellis, the petitioner, has been on record to state: “Ironically, [the case] helped the propertied classes; lawyers often cite the case to justify eviction of tenants and slum dwellers. But it also helps the slum dwellers; the Government can't evict them summarily. The case also spawned a lot of interest in fighting for housing as a fundamental right … but if you were a pavement dweller, it is just not enough.” This case is widely quoted as exemplifying the use of civil and political rights to advance social rights but it is also viewed as problematic due to its failure to provide for the right to resettlement. It is also inconsistent with developments in other jurisdictions, where courts have found stronger rights to resettlement. The judgement of the Supreme Court in the case of Olga Tellis Vs state of Bombay is greatly influenced by this more humane consideration. This case was decided by a five-judge bench of the Supreme Court in the year 1985. This case came before the Supreme Court as a writ petition by Olga Tellis on behalf of the pavement dwellers in the city of Bombay. The pavement dwellers constituted almost half of the population of the city of Bombay. The reason behind the filing of this writ petition is the decision of the respondents (Bombay Municipal Corporation and state of Bombay), that meant that all the slum dwellers and pavement dwellers in the city of Bombay will be evicted forcibly and deported to their respective places of origin or removed to places outside the city of Bombay, in accordance with section 314 of the Bombay Municipal Corporation Act 1988. In fact, the pavement dwellings of some of the petitioners were demolished in pursuance of that decision, by the Bombay Municipal Corporation. The petitioners challenged the order of eviction issued by Bombay Municipal Corporation as being unreasonable and unjust without providing for alternative living facility. Moreover they claimed "right to livelihood" as an integral part of their "right to life" guaranteed under article 21 of the Constitution. Further, the petitioners contended that sections 312, 313 and 314 of the Bombay Municipal Corporation Act are violative of Article 14, 19 and 21 of the Constitution of India. The petitioners hence prayed for the quashing of the order of eviction and allow them to stay on the pavements. The majority judgement was delivered by Chief Justice YV Chandrachud on behalf of the bench. *whether the procedure prescribed by section 314 of the Bombay Municipal Corporation Act 1988 for the removal of encroachment from pavements is/was arbitrary and unreasonable? *Whether the order of eviction is/was the infringement of the petitioners ‘right to livelihood’ and in turn ‘right to life’ guaranteed under Article 21 of the constitution? *Whether the impugned action of the state government and the Bombay Municipal Corporation is/was violative of article 19(1)(3), 19(1)(g) and 21 of the Constitution? The decision of the Supreme Court in this case has been influential in this area of jurisprudence. The eviction orders were held valid under Article 14, and 19 of the Constitution, but the right to life was widened enough so as to bring the ‘right to livelihood’ within the purview of ‘right to life’ under Article 21 of the Constitution. The Court held that the respondents (Bombay Municipal Corporation) must provide with alternative shelter to the petitioners before eviction from the pavements. The large population of the petitioners (slum dwellers and pavement dwellers) through this class action, compelled the Court to pen down conditionalities and due process before eviction. This was despite the existence of specific law that provides for the eviction of such pavement dwellers and slum dwellers (Bombay Municipal Corporation Act 1988). Section 312, 313 and 314 of the Bombay Municipal Corporation Act 1988 deals with prohibition on housing and depositions of various items on the pavements by the dwellers. In this judgement, the Court held that although the petitioners were using pavements and public properties unauthorisedly, they are in no way “criminal trespassers” under section 441 of the Indian penal code since their object or reasons for doing so was/is not to commit any offence or intimidate, insult or annoy any person. Rather they are/ were compelled by inevitable circumstances and are not guided by choice. Much of these findings would be relevant to assess whether or not due process was followed before/during the Shakur basti and Balegaon demolitions in Delhi in October and December 2015. This article was originally published on sabrangindia.in. 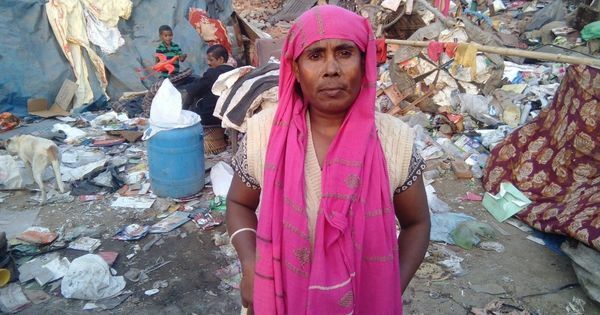 A year after Shakur Basti demolition, why were residents of another Delhi slum left out in the cold?